From a rich merchant’s private haven and a site ripe for development to the last remaining green island in a sea of terrace houses, Clissold Park has for the last 127 years defied the odds and remained defiant in the face of an ever changing urban landscape. Historically hailed as the “lung of the metropolis”, the survival of the 53-acre green space is in no small measure a result of determined campaigners, the Clissold Park Preservation Committee, who fought to secure the park and have it opened to the public in 1889. 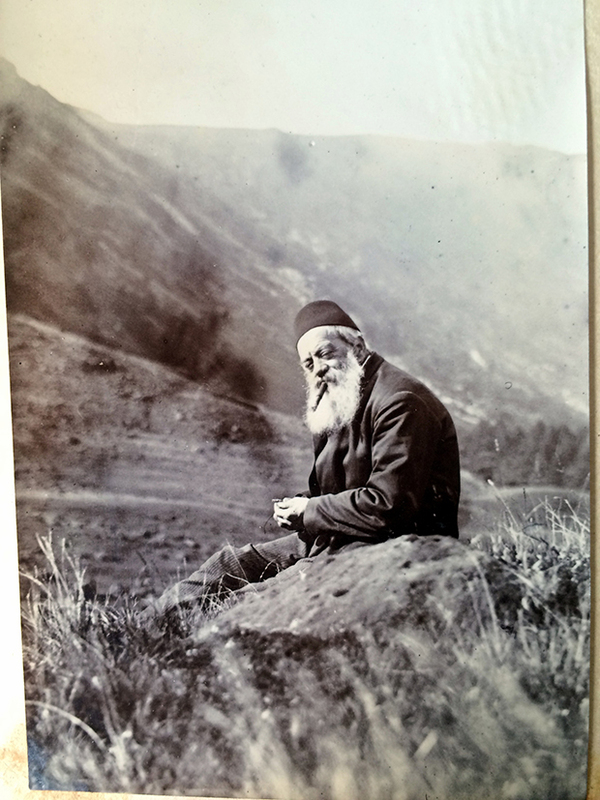 Yet it is only now that the full story of the campaigners’ struggle to protect the park has come to light, thanks to the discovery of a treasure trove of newspaper clippings, maps and letters passed down to the descendants of the chief campaigner and local resident Joseph Beck. “Before finding the archive the history of the park was usually summarised in two lines: there was a local campaign and they succeeded, but it’s so much more than that,” says Amir Dotan, a Stoke Newington historian and Friends of Hackney Archives member. Built in the early 1790s as the home of Quaker Jonathan Hoare, a City merchant and anti-slavery campaigner, Clissold Park was designed to be his idyll – complete with the New River, an artificial waterway that supplied London with clean drinking water from Hertfordshire. By 1811 Clissold House and the park’s lands passed into the hands of the Crawshay family, a well-to-do family of ironmongers, originally from Yorkshire. “The Crawshay family owned it at a time when Stoke Newington was still a very rural village with big houses and big gardens,” explains Amir. 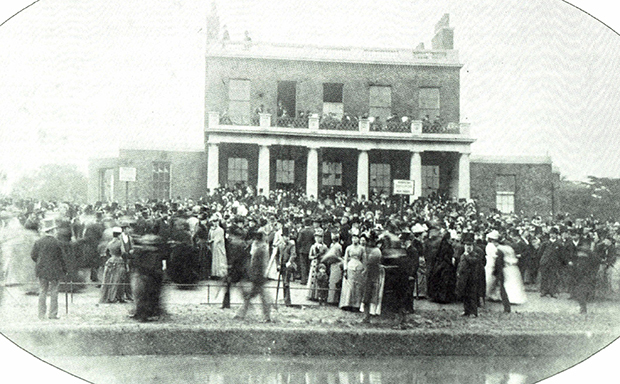 By the 1880s Clissold Park became one of the last remaining open spaces in the area and after the death of Augustus Clissold – husband to Eliza Crawshay – in 1882, developers moved in on the site. “This worried local residents because in 20 years their rural village had been transformed into ‘a desert of bricks and mortar,’” Amir explains. In that time Joseph and his 65-strong group of campaigners managed to secure the £95,000 (£10 million in today’s money) necessary to purchase the park as well as counter local opposition that labelled the park a waste of resources and had a bill passed a bill in Parliament. Amir says: “The archive really shows you how many times the campaigners could have just given up. “For example, in 1887 Joseph Beck had cancer of the tongue and so had half of his tongue surgically removed. Yet he still gave all the speeches, attended all the meetings and wrote all the letters. “Despite battling his own serious personal illness he had the energy, the power and motivation to carry on, to ensure that one day, in his words, ‘children could take their first steps on the grass of Clissold Park and play under the sun’. 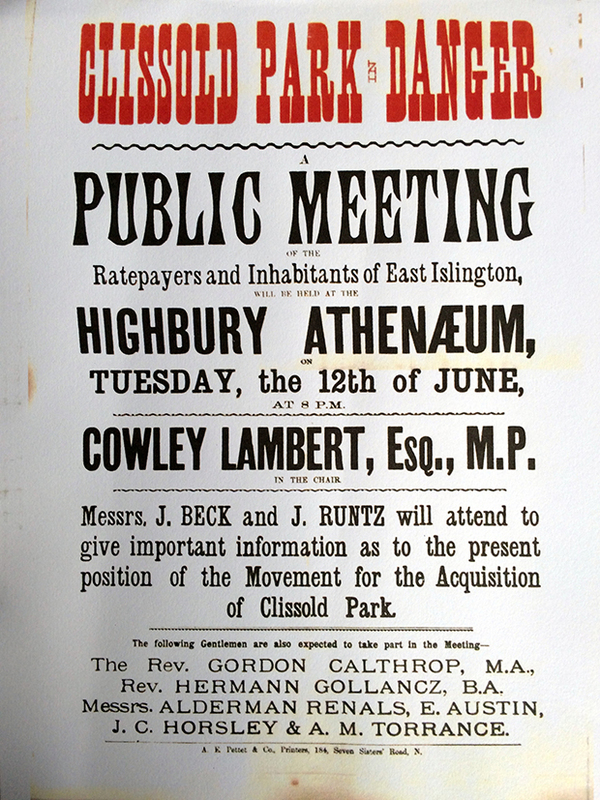 Amir will be revealing more about the history of Clissold Park and the campaign to save it tomorrow, Wednesday 6 July at the CLR James Library and Hackney Archives.